Bi-Office White A1 Easy Flipchart Easel EA4600046 – BQ50000 – OfficeYoo! Simply place a flipchart pad into the flip-up clamp and adjust the height of the easel legs to suit you. Run out of paper space? 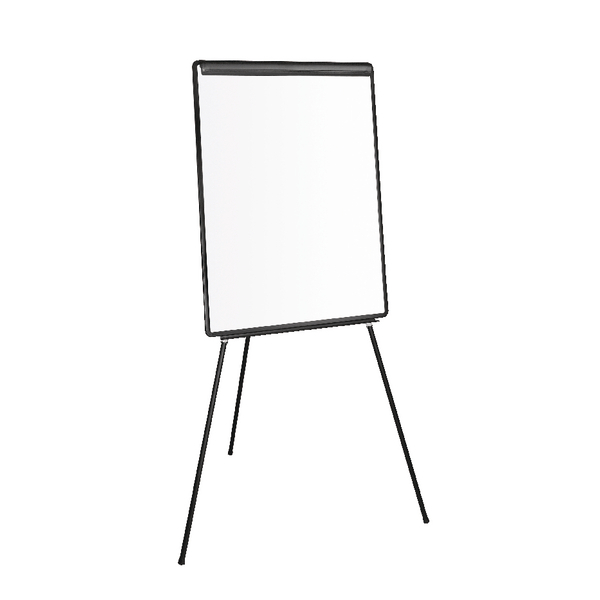 Hang pages on the extendable side arms or write with drywipe markers on the backup whiteboard. Tough anodized aluminium ensures durable support and stability for your easel. It’s an ideal tool for meetings and brainstorming sessions. This item even includes a pen tray for marker storage.